To measure just how useful cordless drills are, I don’t know about your workbench but on mine, I almost always have both my drill and my driver on the same bench at the same time … they don’t even have a permanent home … they just sit on my workbench. t’s amazing all the attachments and functionality that can be achieved from them on cordless drills and drivers including ..
Not sure where this name came from but I often refer to is as a center finding bit so everyone knows what it is, but these bits are priceless for anyone who is attaching hinges and similar metal attachments. The bits center on the pre-drilled holes, then make a clear, center hole for screws so that the hinge plates line up perfectly every time. These come in a variety of size here is a smaller set from the Amazon Store. 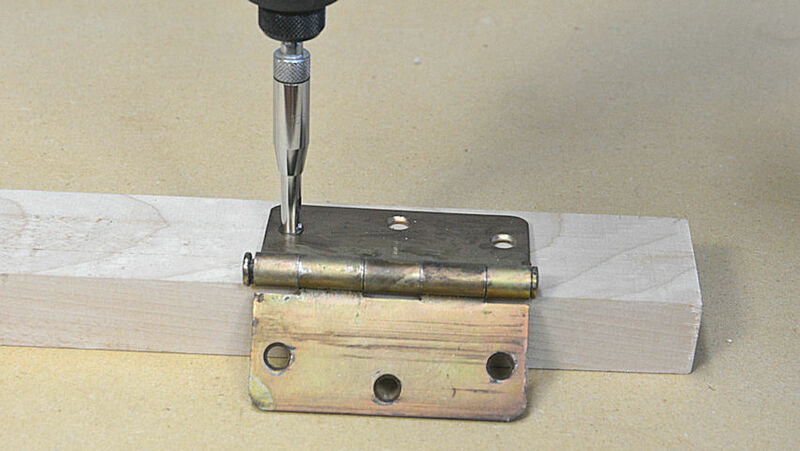 One of the quickest ways of getting nuts and bolts undone is to use a drill or drill driver, but sometimes you need to look around for the correct adapter that will allow the 2 components to work together. Once you do that, you now have a quick efficient way of getting those nuts and bolts and hex screws in and out in a jiffy. Previous post Which 20 Woodworking Hand Tools Should You Buy First?